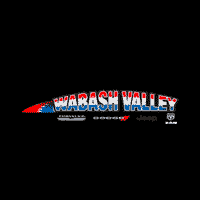 For an exceptional Jeep experience this holiday season in Wabash, Indiana visit Wabash Valley Chrysler, LLC. We are hosting the Wabash Jeep Black Friday Sales Event with savings on the new 2019 Jeep Cherokee Altitude 4×4. Climb new mountains and make your next adventure the best it can be. Contact Wabash Valley Chrysler, LLC in Wabash, Indiana near Kokomo for details today!